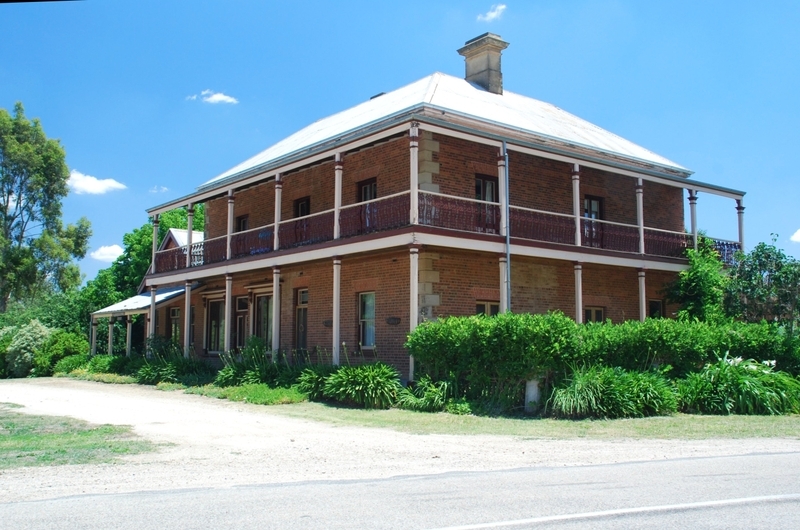 "Carinya", a two-storey brick residence and general store with an adjoining public hall, was built between 1862-67 for Thomas Taylor Ladson. The builders were Thos. Sheils and Jack Oliver. Ladson arrived at Tarrawingee in c.1860 with Hopton Nolan for whom the adjoining Plough Inn hotel was built in 1864. 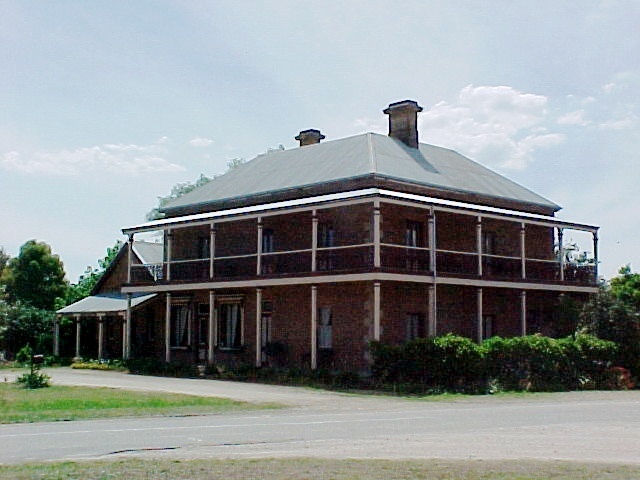 The two buildings were constructed to take advantage of the traffic to the Beechworth goldfields and in expectation of the railway line to Beechworth passing through Tarrawingee. The railway line by-passed Tarrawingee (completed 1875-76) and as the road traffic diminished, the general store failed and Ladson sold the building to Hopton Nolan whose family lived in it and conducted a post office there. The building remains in the Nolan family. The main house is of a simple Georgian design, constructed of face red brick with rendered quoins and chimneys, a corrugated galvanised iron hip and valley roof and a two-storey verandah on two sides. It has multi-paned sash windows at the rear and single-pane sashes and French doors at the front. The general store has two large shopfront windows with shutters to either side of a panelled door and highlight. The verandah has cast-iron balustrade panels in a swag-bellied profile (unusual for Victoria). There is a brick kitchen outbuilding and stables (upper floor removed) at the rear. The interior is austere with boarded ceilings and simple timber cornices and a minimal amount of plaster decoration. The walls of the main passages and stairwell are ruled in an ashlar pattern, the ground floor passage is laid with encaustic tiles and the doors are wood- grained. The plaster walls have been repainted but all other finishes are intact. The general store retains its fine polished cedar counters and shelving. The building is in good condition and with a high degree of integrity. The building is of importance as a late example of vernacular Georgian architecture in Victoria and in conjunction with the adjacent Plough Inn (VHR360) is an important historical landmark on the Beechworth Road. The historical association between the two adds to their interest. Historic Building No. 568, "Carinya" ("Ladson's Store"), Beechworth Road, Tarrawingee (to the extent of the buildings and land described in Memorial 115 Book 175).